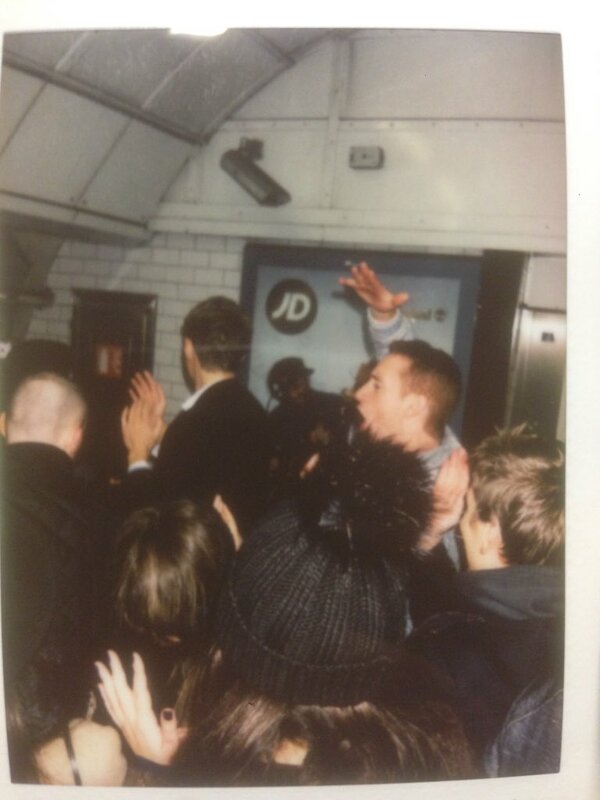 A busker's catchy tunes helped start an impromptu dance party at Marble Arch station on Friday night. Video shows passengers stopping their journey to dance and sing along to the underground performance. The musician, Ali Köse, told ITV London that more than one hundred people joined in the fun. "There was a point at which I didn't have to sing the lyrics," he said, because the crowd was singing so loudly. The video shows passengers on the concourse dancing along to a cover of Daft Punk's 'Get Lucky' and then Maroon 5's 'Moves like Jagger'. The party ended when a staff member at the station turned off the power over health and safety concerns. Mr Köse says it's not the first time his music has started an impromptu party, but it's the first one that's gained so much attention. He told ITV News that he busks up to six times a week.